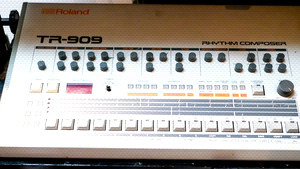 KitMonsters – Roland TR-909. The music makers’ guide to making music. 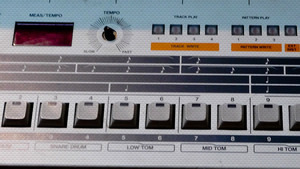 It’s legendary - the first MIDI-equipped drum machine, armed with a 16-step sequencer, that came after the TR-808 and with its electronic sounds was perfect for acid house and techno. It features hand clap and rim shot as well as bass, snare, toms, and ride, crash and hi-hat cymbals - the sounds can all be customised too. 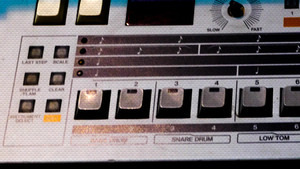 The analog machine is programmable and can store multi-part songs, not just drum patterns, and give a great four-to-the-floor dance beat. 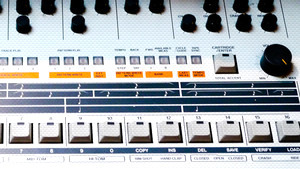 Artists who have used it include Aphex Twin, Inner City, The Prodigy, LCD Soundsystem, Radiohead, The Chemical Brothers and Coldcut.